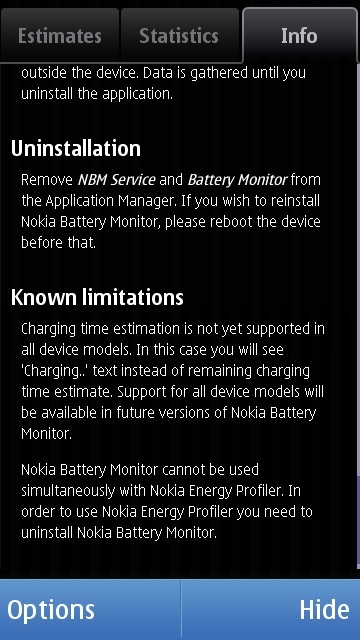 Nokia battery monitor is a 400kb + application made by the joint venture of Nokia and VVT technical research center in finland that aims to provide more details information about our S60 5th edition and S^3 powered mobile phone's remaining battery life and usage as well as charging time. 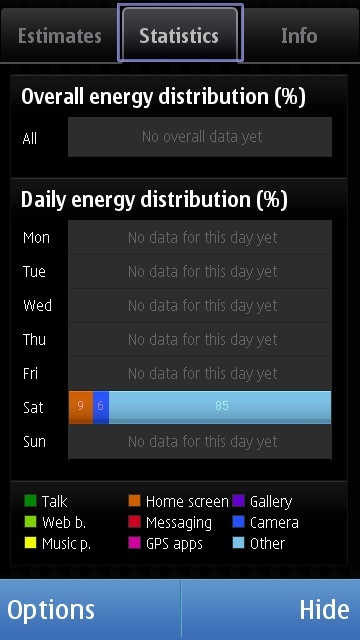 Its basically offers the similar function that Nokia Energy profiler provides for s60 5th edition phones but in user friendly layout that is easily understandable by average users. 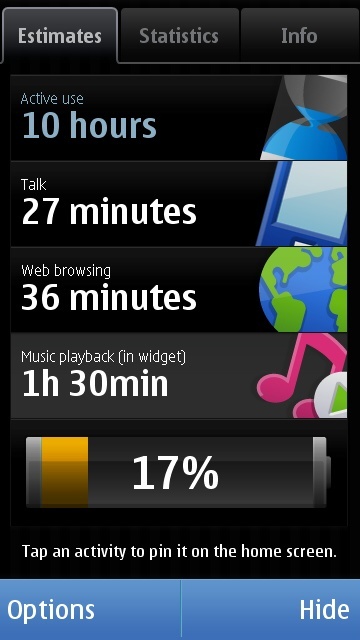 You can change the information that is displayed on the widget by highlighting any one tracking from the estimates tab. 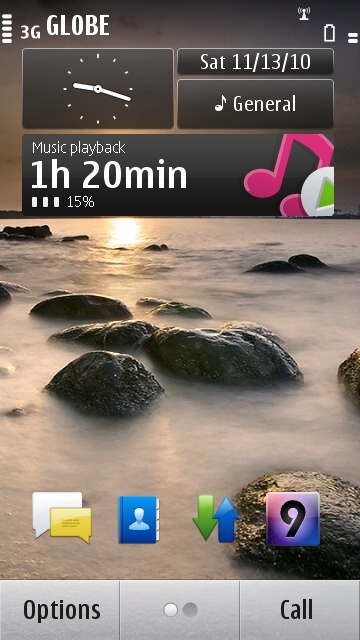 In this example, Music playback is highlighted that's why the homescreen widget on the 1st image shows the remaining time when music playback application is continuously used. Over the course of usage, the application will be able to record a history of data from the usage and will be able to generate a statistics for us to know which application consumes the major part of our unit's battery life. 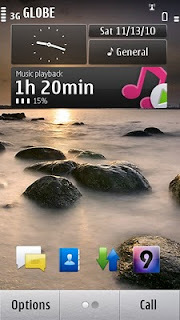 It can also show us which days of the week the handset is being used heavily. 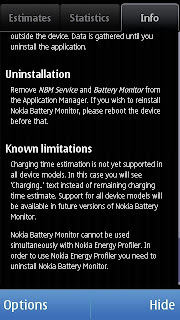 There's a warning though, do not install this application together with Nokia Energy Profiler. 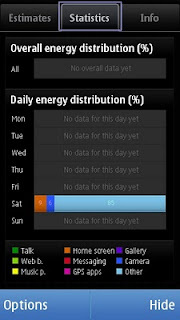 Only Nokia Energy profiler if not nokia battery monitor should be installed at a time. 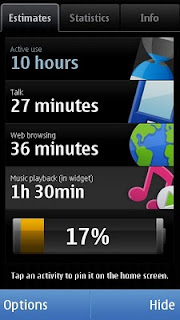 Get Nokia battery monitor from Ovi Store.